Grab your ringside seats, gang: Apple and Adobe are at it again — and this time, the fighting’s turning fierce. In one corner, you have Steve Jobs, decorated CEO of what may be both the most loved and most hated company in technology. In the other corner, you have Adobe CEO Shantanu Narayen, who can’t understand why Jobs won’t allow his Flash software onto the iPhone, iPod, or iPad. Today, in what may be the most direct clash we’ve seen to date, the two men are publicly throwing punches. 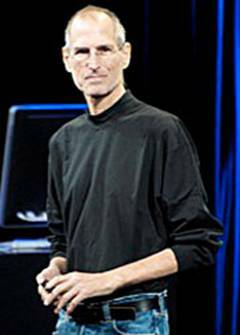 The high-profile fighting hit the Web hard this morning when Jobs posted a rare missive onto the home page of Apple.com. 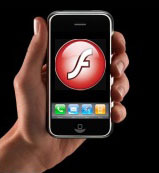 Entitled “Thoughts on Flash,” the open letter offered an explanation for Jobs’ firm stance against Flash. It also fired back at Adobe for its claims that Apple’s Flash-free decisions are based on business-driven motivations designed to keep its systems closed. In a nutshell, Jobs says that Adobe’s Flash platform is closed and that he values Web technologies that are open (a slightly ironic statement, no? ); that Flash is unreliable and insecure; that Flash is too big of a drain on battery life; and that Flash doesn’t function well with touch interfaces. Jobs goes on to state that, contrary to what some have suggested, surfing the Web without Flash isn’t an incomplete experience: Most Flash-based video, he attests, is already available in other formats. While Flash-based games can’t be played on an Apple device, he proposes that Apple’s App Store offers enough alternative entertainment options that it shouldn’t be a problem. All caught up on that side of the drama? Good. Now here’s what Adobe had to say about Jobs’ remarks. Adobe’s CEO, Shantanu Narayen, sat down for an interview with The Wall Street Journal to chat about what Jobs wrote. According to The Journal, Narayen says Adobe’s goal is and has always been to make it easy for people to work on any operating system. He says Apple’s restrictions would make it unnecessarily “cumbersome” for developers, forcing them to maintain “two workflows” — one for Apple, and one for everyone else. As for the technical problems Jobs connected to Adobe’s Flash software, Narayen says he sees them as little more than “a smokescreen.” Specifically, he says Jobs’ claims about Flash draining devices’ batteries are “patently false” and that if Adobe causes frequent crashes on Apple systems, it’s likely the result of an issue within Apple’s OS. Narayan also maintains his stance that Jobs’ Flash ban is based purely on business: Apple, he contends, stands to gain the most from apps that are exclusive to its platform; Adobe’s platform, on the other hand, allows developers to create apps that can work for multiple types of devices. JR Raphael is a PCWorld contributing editor and the co-founder of eSarcasm.